In the case of a successful booking, the booking data will be stored for billing purposes. Afte 2 moth of your arrival date this data will be competely removed. Any further questions? 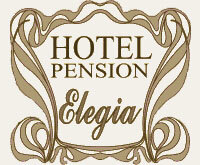 - Feel free to ask Hotel-Pension Elegia.